You have just one week left to get something really special for your Valentine this year so I thought I’d pull all our best posts into one place to make it easier for you! Whether your loved one is a gamer or geeks out over something else, I’m sure we can show you something to please. I’ve done posts on many fandoms specifically for Valentine’s Day but we’ve been posting for a while now so I’ve included a couple of our other gift lists to help you widen your search. 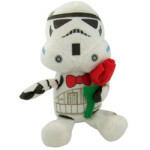 Star Wars – includes some gorgeous Valentine’s Day cards, jewelry for guys and plushies. Doctor Who – this one is for the ladies who love Doctor Who – plushies, jewelry, some amazing bags and a whole bunch of cute clothes. Zombie Lovers – including Valentine’s Day cards, cute zombie plushies and some fantastic zombie face t-shirts. We also did a whole post on Zombie candies too! Gamers – some unique cards, candies, t-shirts and plushies but we also did a retro 8-bit gamers Valentine’s post and a whole post of plushies for gamers as well. 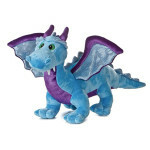 Dragon Lovers – always a great favorite, this post includes cards, plushies, some gorgeous jewelry, t-shirts and some amazing coffee mugs. Robot Fans – another popular post, this one includes some cute robot design cards, plushies and super sweet jewelry for ladies. Science Geeks – this was a tough one but I found some lovely jewelry for her and some great science themed watches for him. There’s also Valentine’s Day cards and plushies too. Computer Geeks – includes cards, jewelry and an amazing solid chocolate computer with gift wrap! Bacon Lovers – this was a fun post to do – can you believe I found bacon themed Valentine’s Day cards as well as plushies and even a bouquet of bacon roses? Steampunk Valentine – nuts, bolts & gears galore, this post is just gorgeous all the way through! Includes cards, mugs and some stunning jewelry for both guys and gals. 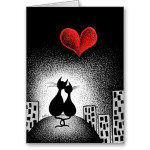 Cat Lovers – some unusual Valentine’s Day cards, cute t-shirts, plushies and some purr-fect jewelry for her. Star Trek – not a Valentine’s Day post but highlights stunning jewelry for guys who love Star Trek. If I missed your favorite topic this year, don’t forget you can search our earlier posts. You can click on one of the categories that interest you, click on a word in the tag cloud or just type your search query in the search box to get even more posts that have gift ideas for the topic you are looking for. If all else fails, there’s always the Valentine’s Day shop on Amazon – they have everything you could possibly wish for tucked in there!